Hertha kick off their 2018/2019 Bundesliga campaign with a match against Nurnberg in Berlin. The capital club were scoring goals for fun in pre-season, but their opponents were anything but strong. Hertha are determined to make a flying start to the season, but Nurnberg, who kicked off their German Cup campaign with a 2-1 win over Linx, should not be written off just yet. However, seeing that der Ruhmreiche often struggle on the travels, we believe that home win should be considered. A man to watch in Pal Dardai’s team will be Salomon Kalou, who is still part of the capital club. In their last meeting in the German top flight Hertha recorded a 2-0 win over Nurnberg and we predict that the history is going to repeat itself. Speaking of the away side, Hertha defenders should have Mikael Ishak at bay as he scored 12 goals in the 2. Bundesliga last term. 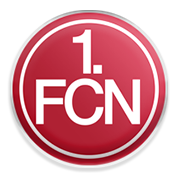 FC Nurnberg are a German club which was founded back in May, 1900. Der Ruhmreiche play their home games at Max-Morlock-Stadion, which was both built and opened in 1928. The stadium can hold up to 50,000 spectators, but it has to be noted that the capacity of the venue is 44,308 for international matches. Nurnberg were the dominant force in German football in 1920s, with the team clinching five trophies during that period (1919/1920, 1920/1921, 1923/1924, 1924/1925, 1926/1927). The Ruhmreiche won the national championships in 1936, 1948, 1960 and 1968 as well, with the team finishing the season as runners-up on three occasions (1934, 1937, 1962). Speaking of the club’s recent history, Nurnberg did well to win the German Cup in 2007, with the team beating Stuttgart in the title game. Speaking of the club’s European success, it has to be noted that the Bavarians played in the European Cup quarter-finals in 1962. Schalke are considered one of the club’s main rivals.